According to the Q1 2018 State of Mobile Fraud analysis from AppsFlyer, bots are now the most dangerous threat to mobile apps, responsible for over 30% of fraudulent installs. Web Application Firewalls (WAF) include intelligent bot protection services that use sophisticated challenges to detect bots. Native mobile apps can’t use WAF-based bot challenges. The only way native mobile apps can leverage these services and pass the Anti-Bot challenge is to implement an Anti-Bot SDK in the app. Appdome has partnered with F5 to simplify the implementation of the F5 Anti-Bot SDK to any Android and iOS app that wants to connect to a web server protected by F5’s Advanced WAF. The integration is instant and does not require any coding. 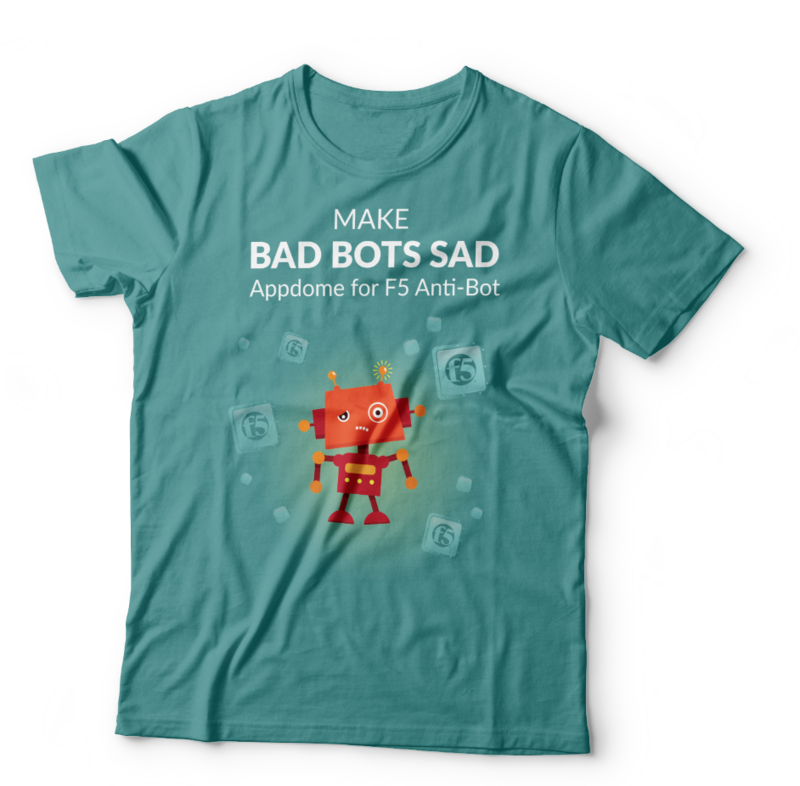 The Appdome team will be at F5 Agility and our mission is to Make Bad Bots Sad. We’ll show how Appdome for F5 makes it very easy to implement the Anti-Bot SDK in Android and iOS apps. If you are coming to Agility, I invite you to stop by the Appdome booth. Sit down for a demo and you will get this exclusive t-shirt as our token of appreciation. F5 Agility is happening in Boston from August 13-16. It’s not too late to register. Can’t wait to see you there. Jan is Head of Marketing at Appdome.